Experience the natural and cultural heritage of the High Plains of Colorado and learn how conservation of water and other resources is vital. 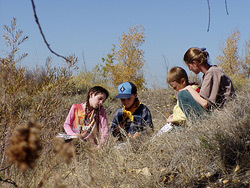 Hands-on activities are designed to meet Colorado Model Content Standards (listed in italics). You may spend your whole visit with activities in one topic area, or allow one hour for each topic area planned. Select this link to view the PCC "School Program Guide". Also see Preschool Groups. Programs are adjusted for age/grade level. Minimum visit time--2 hours (preschools 1.5 hours). Allow minimum 1 hour for each topic area. For in-depth experiential visits, see Field Schools. natural cycles, the food chain, and interrelationships and learn about conservation. 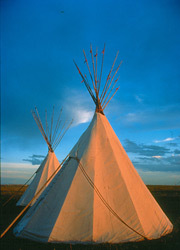 May include a walk or wagon ride, activities, and storytelling. Discover the 1880s in our replica sod buildings--the MacLean soddy, the blacksmith shop, and Danielson School. Students will gain an understanding of human dependence on natural resources (such as water and soil) in the past and compare that with their use in the present. Activities may include lessons in the school, a look at life in a soddy, agriculture in action, pioneer games, storytelling. For Pre-School groups we plan 1.5 hours of programming. Groups planning to stay for 2 hours should plan a 30 minute break for snack or lunch. A three-hour experience is $7 per child. (no reduced rate for Title 1 schools) Programs available Mon-Fri, year round. RESERVATIONS REQUIRED —we recommend at least 3-4 months in advance (8-12 months for early fall and late spring). *Please note that on January 1, 2011, prices for 1.5 or two-hour program will change to $6 per child ($5 for Title 1 schools) and the three-hour experience price is $8 per child ($7 for Title 1 schools). If rain/snow/mud or other inclement weather prevents us from using our wagons or presenting outdoor programs, the PCC reserves the right to substitute another excellent program. PCC programs are canceled/rescheduled ONLY if severe weather makes road travel hazardous. 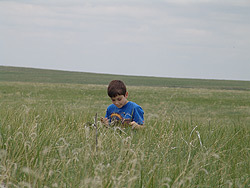 Immerse your students in their prairie home with unique, experiential learning designed to help students compare and contrast how people have used resources over the last 175 years. Walk through the prairie grasses. 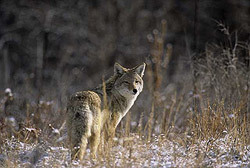 Take a wagon ride to explore the secrets of prairie animals in their natural habitat. Create a slice of daily life with chores, cooking, exploration, and activities typical of 1840s Plains Indians or 1880s soddy pioneers. Experience an evening filled with campfire stories and a night sky program culminating in an unforgettable overnight on the prairie. Enter your e-mail address below to receive our e-mail newsletter. You'll find out first what's happening at the Plains Conservation Center.